Lloyd Anson is the man that lit the fire under my Finding Faulkner series. After my dad died and I inherited the genealogy files he had kept, I came across a file marked "Operation Grampa". Lloyd Anson was my father's "Grampa". Seems he was trying to learn more about the man. Happy to oblige, I dug in ...... which took me on the journey of a lifetime, and concluded with me actually finding our Faulkner, our original immigrant. So wish my dad were still here to share this with. But this is a sketch about Lloyd. Lloyd Anson Faulkner, middle child, was born in the brand new state of Minnesota on September 30th 1862. 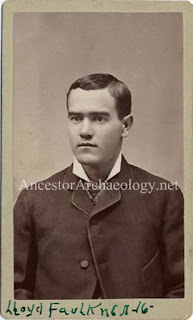 Son of Harrison and Jennie Whitford Faulkner. He was welcomed into a family that already consisted of older brother, Arthur Edward and half brother, James Nichols. His younger brother, Louis Nelson would follow soon after. Lloyd's parents divorced in 1878, when he was 15. 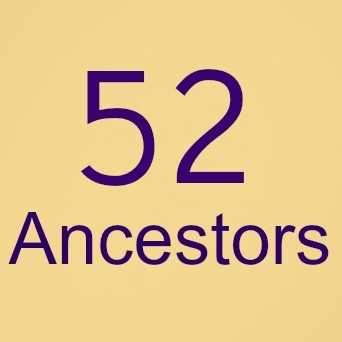 He and his brothers continued to reside with their mother until her death in 1888. 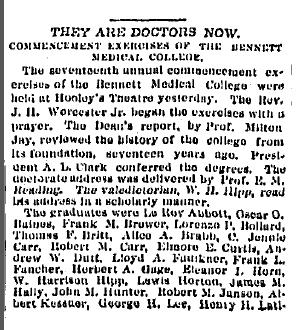 In 1884 Lloyd and his mother moved temporarily to Chicago, IL so that Lloyd could attend Bennett Medical College. While Lloyd attended classes, mother Jennie worked as a nurse. Lloyd Anson graduated on April 1, 1885 as an Eclectic Physician. 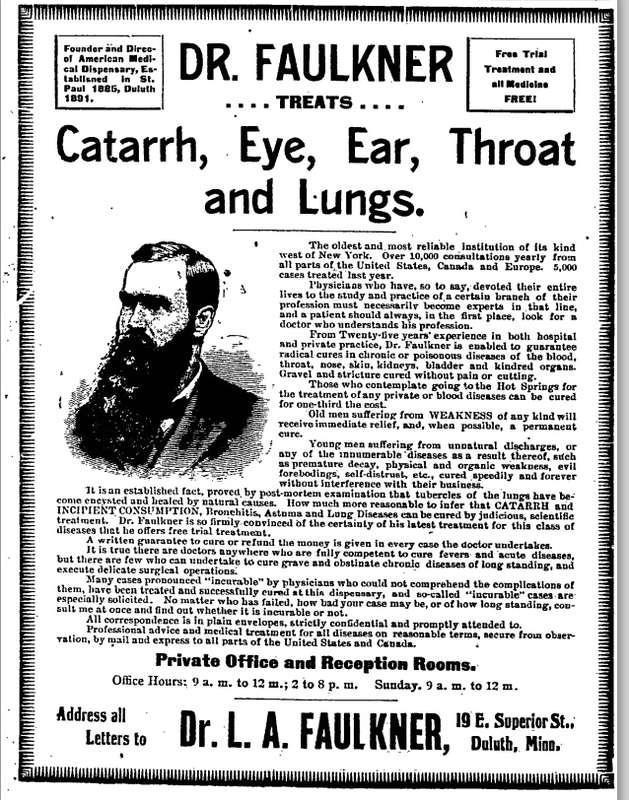 According to Wikipedia: "Eclectic medicine was a branch of American medicine which made use of botanical remedies along with other substances and physical therapy practices, popular in the latter half of the 19th and first half of the 20th centuries." The very next month Lloyd and his mother returned to Minnesota, residing in St Paul with brothers Arthur and Louis. 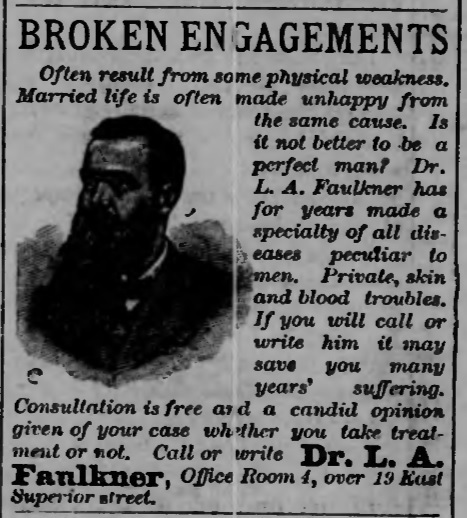 Dr Faulkner opened his practice in Duluth, on Superior Street. He held office hours daily, even Sunday! Lloyd continued to practice medicine, and in 1891 married Anna O'Connell, who had moved to St Paul from New York several years earlier. The couple's first son Raymond Lloyd, was born before their first anniversary. Daughter Mary Edith would follow in 1894. 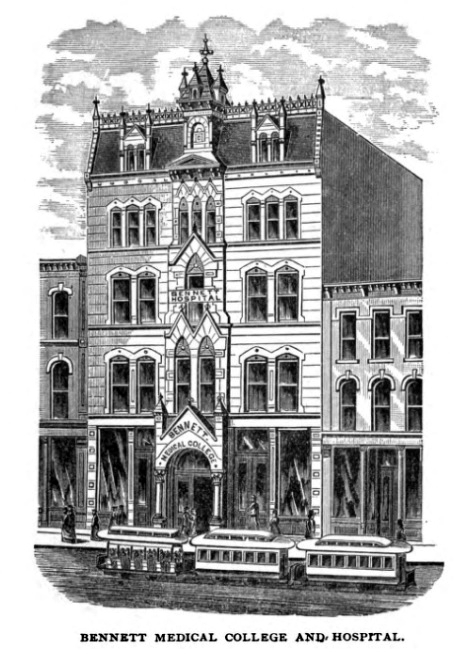 The couple now resided in Duluth and Lloyd had opened a side business dealing in gems and minerals obtained from Lake Superior. This new venture was called the Natural Science Establishment. 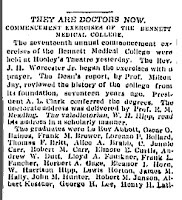 Their second son James Harrison came along in 1897. By 1900 the family was back in St Paul, where the final children, a set of twins, were born. Louis Lester and Catherine Lila, delivered, like all the other children, by their father Dr Lloyd, joined the family in 1902. 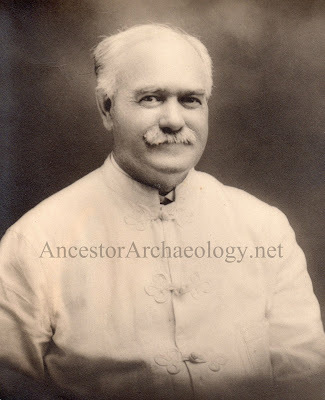 Lloyd Anson Faulkner was a lifelong member of the AOUW, Ancient Order Of United Workmen. Perhaps his father was a member as well, I have yet to discover any more on this. 1905 brought the death of Lloyd's father Harrison. For the next two decades the family seemed to move around a lot, always remaining in Minnesota. Perhaps Lloyd was a traveling physician at this time. The family moved between Blue Earth and Crow Wing, with stops in Rice and Sibley. Or, based on the dates of the census records, Dr Faulkner may have done the travelling, taking his family with him for the summer months. At any rate, things settled down by 1920. Dr Faulkner was back in St Paul, his office was in the Baltimore building and the family resided on Hague Ave. 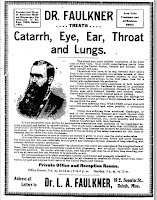 In August of that year Lloyd's brother Louis died of a horrible disease easily curable with modern penicillin, which would not be discovered for another 9 years. Children's marriages were celebrated on at least three occasions. The family may have traveled to Chicago in 1914 for the wedding of the oldest son, Raymond Lloyd; and again in 1928 for the marriage of youngest son, Louis Lester. The oldest daughter Mary Edith was married by 1930, most likely in St Paul. Raymond and his wife Marion would give Lloyd a grandson and a granddaughter. Sometime after 1930 Dr Lloyd Faulkner began to feel tired, run down. He was in his late 60's. Perhaps it was time to retire? 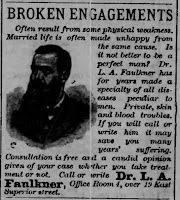 I do not believe Dr. Faulkner ever got that chance, he actively practiced medicine until July of 1933. 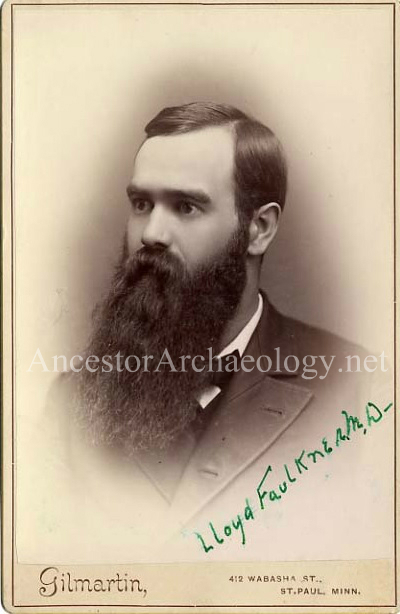 On December 18th 1933 at 10:51 in the morning Dr Lloyd Anson Faulkner passed away after a valiant fight with prostate cancer. He is buried in Acacia Park Cemetery, in Mendota Heights, Minnesota. He looks a lot like my dad. Posthumously Lloyd Anson Faulkner became grandfather to two more grandchildren. A grandson from youngest son Louis Lester and a granddaughter from youngest daughter Catherine Lila.